Today at the Windows Phone Summit in San Francisco, Microsoft formally announced Windows Phone 8 for the first time. 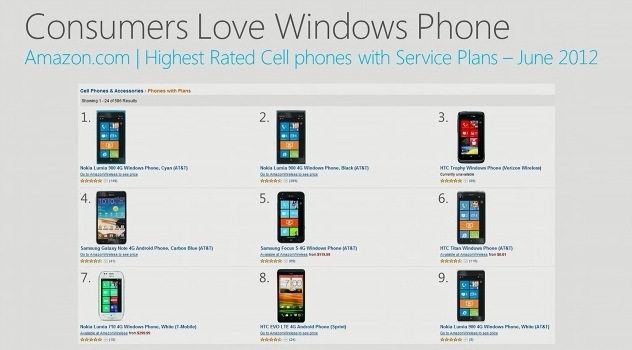 Meyerson quoted Amazon’s consumer rankings of phones, saying that 7 of the top 9 devices were Windows Phones. Microsoft’s head of Windows Phone, Joe Belfiore announced that the Windows Phone 8 software shares its core with Windows 8, making it incredibly attractive architecturally for developers, OEMs and IT professionals. The hardware implications of the NT kernel is that it will support dual-core devices this fall and, in the future quad-core or even 64-core devices. That’s a lot of headroom from a new phone architecture. This is the same core used by 1.3B people world wide. 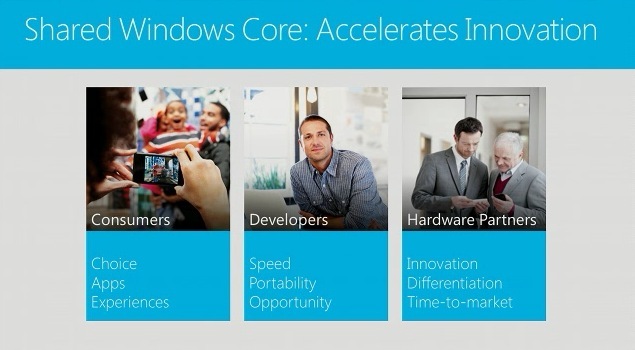 Belfiore says that this shared core will allow for a wider range of hardware at more price points than before. “We can now say that there is one Windows. Windows 8, Windows Phone 8…one Windows,” he continued, adding that today’s announcements would not disclose all of the consumer features of Windows Phone 8, as this event was for developers. WP8 also has support for Micro-SD card expansion of storage. It features support for three screen resolutions, with a support for ‘true 720P’, that’s 1280×720, along with 800×600 (WVGA) and 1280×768 (WXGA). Microsoft also announced native code support for Windows Phone 8, making it easier to port applications developed for Windows over to the phone. There is also native support for Near Field Communication hardware. This will enable more communication between devices and payment systems in order to provide a ‘digital wallet’. The Windows Phone 8 wallet will support credit and debit cards, loyalty cards, access saved deals and tap-to-pay. Orange is an initial partner for Microsoft in the carrier space. Microsoft appears to be working closely with carriers on its payment solution, rather than making an end-run around them as Google did with its Wallet system. 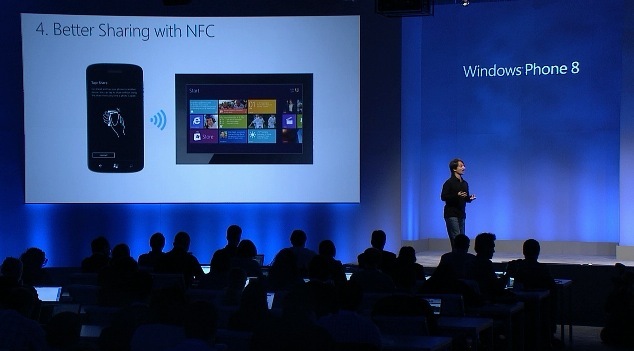 Every Windows Phone will contain the payment hub, even if they don’t have NFC support. Orange will be the first partner to support tap-to-pay. 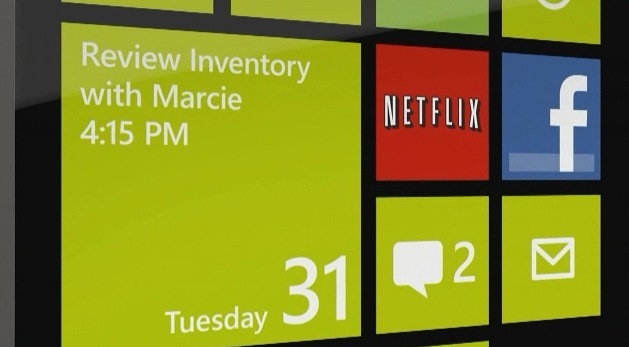 Microsoft also announced a new Start Screen for Windows Phone, with customizable tile sizes and more. 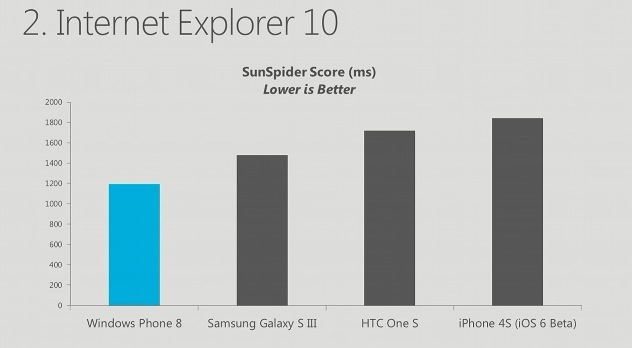 For more on Microsoft’s Windows Phone 8 platform preview, read all of our coverage here.